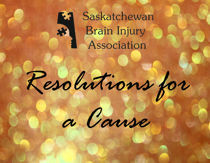 Program Description: In the past the Saskatchewan Brain Injury Association has created original posters that raise awareness and educate the public about various aspects of brain injury. We are currently in the process of reprinting two of our posters: A Concussion is a Brain Injury and Respect the Unexpected. Those posters are regularly distributed to the public in packages, at our regular displays throughout the province, and during presentations. They also feature on our website, where we discuss statistics related to those posters.